In our globalized world, we can buy coffee beans from Ethiopia or shirts from Honduras with a click of a button. Bananas will line the shelves in the dead of winter and water bottles will sell in the billions when we can drink from the tap. If our bank account is large enough, we can live alone in a mansion, scale Everest with no climbing experience, and drive a different luxury car every day of the week. 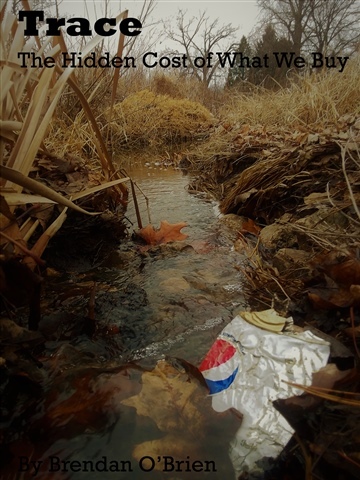 In a series of interconnected stories, Trace: The Hidden Cost of What We Buy examines how our acceptance of this system--in which things only have value with a dollar amount beside them--shapes our world. Every purchase we make, from the split-second one of a candy bar to the well-researched one of a house, has far-reaching consequences. Every product we buy was made by someone, oftentimes someone deliberately obscured from our view. And in this willful ignorance lies our acceptance of it all. Trace is a book that challenges us to do better. Brendan O'Brien grew up in Davenport, Iowa but has lived in various parts of the country, including Missouri, Minnesota, California, and Montana. 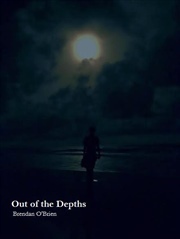 His experience in these places and travels abroad have produced a unique lens through which he sees the world. He uses his writing to focus attention on oft-overlooked issues and attempt to amplify the voices of those seldom heard. He can usually be found with his head buried in a book or out hiking.